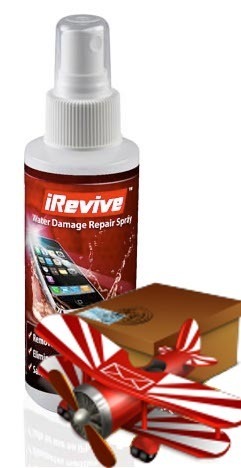 This video walks you through the process to fix a water damaged LG G Flex with iRevive Spray. With the phone powered off, remove the sim card tray from the side of the phone. Use pry tool in between the front assembly and back cover. Start by sliding around gently to loosen the back cover. You should hear the clips that hold the back frame on unsnap as you go around. Take out the 5 black phillip screws located at the bottom of the phone and 1 smaller black screw located in the center towards the right hand side of the phone. 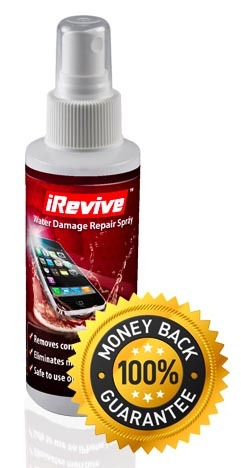 Also remove the 10 silver screws located at the top of the phone with the phillips screw driver. Work your way around the top black plastic cover. Disconnect the LG G Flex volume/power flex cable. Then remove the plastic protective cover. Disconnect with your pry tool: Battery, 2 Antennas, LCD Flex, Front Camera, Sensor & Back Camera. Carefully lift out the logic board using the pry tool or flat head screwdriver. Remove all heat shields covering the micro chips on the logic board using the flat head screwdriver. Look for the microphone and do not spray any iRevive on it. Covering the microphone start to spray the iRevive onto the logic board. Use the brush and softly work it in a circular motion on the logic board. This removes all of the corrosion on the board and it's very important to clean on all sides of all the chips on the board. Repeat this process on both sides of the board. Let everything dry for at least 3-4 hours. For best results, repeat the cleaning process around the logic board and all flex cable connectors. Allowing 24 hours to dry is best after the cleaning. Snap the heat shields back onto the board. Move all cables back to allow room for the logic board to sit back into the phone. Put the logic board back in the LG G Flex. Snap down all of the flex cables, don't forget the antenna connectors in the bottom left corner of the board. Reinsert the bottom black screws. Make sure all flex cables are pushed in. Reinsert plastic protective cover. Reinsert the silver screws at the top of the phone. Snap the back cover back onto the back onto the phone. Reinsert the sim card tray.